About a zillion years ago, I roped myself into a postage stamp quilt project. It was when our littlest was really little; in about two months, she turns three, and there is the slimmest chance this project will be done by then, God willing. It has been tremendously time-consuming, I won’t lie. By the same token, though, it has been an escape in a way that I wouldn’t have predicted: because the sewing has been really monotonous and there has been so much of it, I was able to turn my brain off for extended periods, and not have to worry or suffer from anxiety or angst. I could just SEW without having to stop and do too much math. And because the project kept expanding, I didn’t have long stretches where I could start something new and hem and haw about what that would be–it’s surprisingly productive to have something you KNOW you should be working on, and not have to do a bunch of square dancing trying to figure out where to spend your time. So as much work as these quilt tops have been, they’ve paid off in rewards I didn’t anticipate. And isn’t that the hallmark of all worthy endeavors? 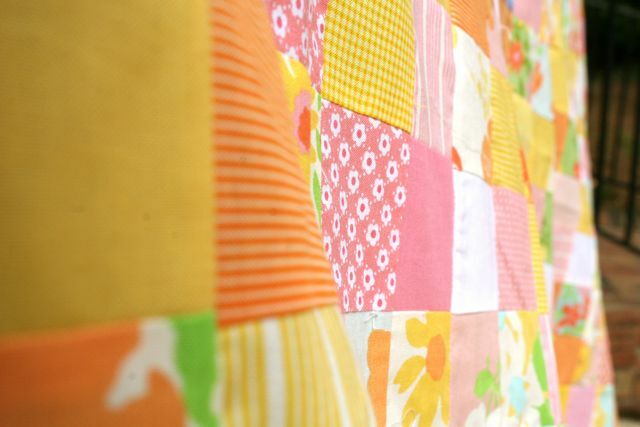 These quilt tops are twins in multiple senses: they’re twin-sized, for one thing, and for another they’re matching–or, at least, as matching as a planned-scrappy quilt can be. I started making just a small quilt for our youngest, then realized that our girls would be sharing a room for the next four-plus years and decided to make TWO, and then wanted them to be larger quilts, which moved them up to twin-sized, but I wanted them to have a real drop and go all the way to the mattress lower edge at the sides of the bed, which means they’re actually 6 blocks by 7 blocks, or 72″ x 84″. That’s 42 blocks per quilt, or 84 blocks total, each block at 12″ finished. That’s a lot of 2.5″ squares to sew together–it’s 3024, as a matter of fact. All cut and sewn one at a time. The color palette is determined by the initial collection with which I began–Dream On, a Moda collection from about two-and-a-half years ago. 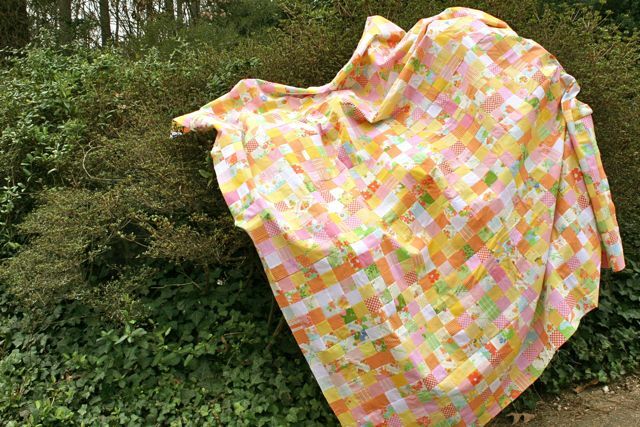 I call this “planned scrappy” in the sense that some fabrics are repeated and other aren’t, and that it doesn’t much matter WHAT fabrics are in the quilt so long as they adhere to the pretty strict color guidelines. 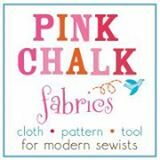 I love the pink and yellow of the Dream On vintage-bedsheet-look fabrics, and must have been sub-consciously thinking of these fabrics when we painted the girls’ walls pale, butter yellow and their ceiling ballet pink. So there is a lot of yellow and pink here, in solids and in blenders. 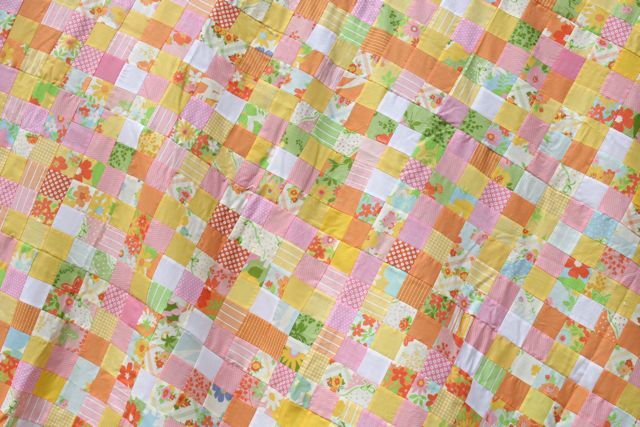 There is also a goodly amount of orange, which warms up the quilts, but nothing else–all the greens and blues are from the Dream On fabrics, and the mixers are limited to those three shades of pink, orange, and yellow. I ran out of my original blenders wayyyy sooner than I thought–I foolishly thought I had enough fabric at the beginning and realized when I came back to this project a few months ago that those were NEVER going to be enough. 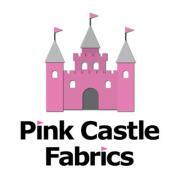 I found some more that I really love from Pink Castle Fabrics, and added them to the bunch, working to mix the rows up and balance the newer prints with the original blenders. There are plenty of seams here that aren’t perfect. No matter how much I chain stitched or how much I assembly-lined, they didn’t all match up. And I really, sincerely have no problem with that. Somehow–and this seems weird to me–even if my individual seams didn’t match when putting one row to another, the length of the overall row would meet up just fine. So I guess I was more consistent than I thought? In the end, every block came within 1/8″ of being exactly 12.5″ square, which is a little miracle in itself. I guess there’s something to be said for really diving in and doing whole chunks all at one time! The colors are so springy and lovely, especially this time of year as we’re waiting for the warmth to come back. I can already imagine (partly because I already took a sample photo on Instagram) how sweet and little-girly they’ll be in their shared room once they’re done. Naturally, because it’s me and I seem to have some sort of genetic block against doing things the easy way, I am only about halfway to being done with these. I have some really serious plans for the backs that I’m particularly attached to and working on as we speak. 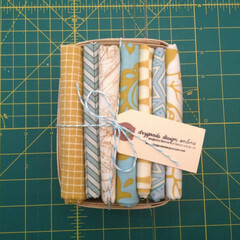 I can say “applique” and “falling blocks,” but won’t share anything else until I have something to show you. But let’s throw in that the quilt top won’t be the only star of this show, shall we? 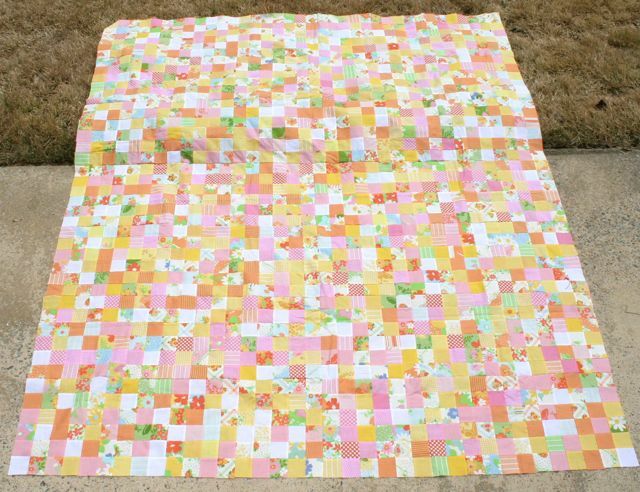 In the next few weeks, as the sun makes its return, I’ll be working on the back in hopes that not too long past Easter I can get these quilts complete and put them in the girls room. That will be the alarm moment, too, to make the Big Transition: our youngest will be potty training, our four-year-old boy will be moving out of the toddler bed and into a Big Boy bed so that the littlest can have the toddler bed, and we’ll be swapping a ton of furniture all at the same time between the rooms–including selling the crib, since we won’t have another baby to put in it. Big stuff happening at our house this spring! 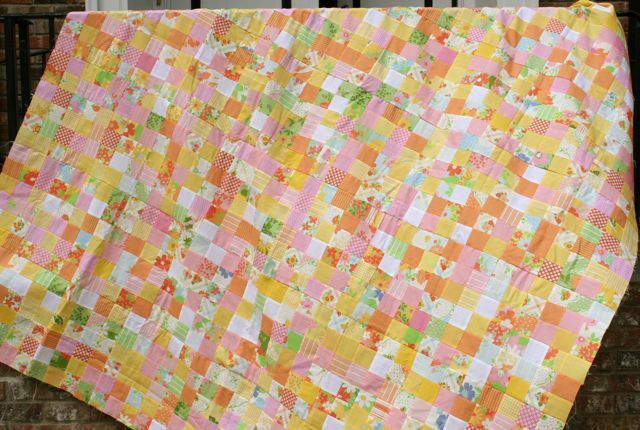 For their part, the two little girls–ages six and almost-three–are VERY excited to have matching bed quilts. They currently love sharing a room, and my husband and I talked the other night about when we would shift them to NOT share a room. We both think that because there is a four-year age difference, somewhere around when our six-year-old turns nine or ten, she’ll want a room of her own–but we’re not going to be the ones to suggest it. I love that they love sharing a room, the way I loved sharing a room with my sister, and I don’t have any belief or expectation that children need to have rooms of their own. And if they want to keep sharing until high school, well, I’m down with that. 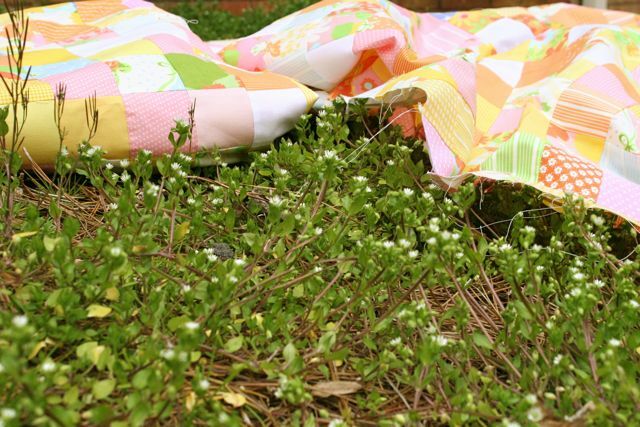 Plus, these quilts were a LOT of work, y’all–here’s hoping we get more than a few years’ use out of them! 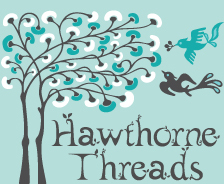 ← Sewing Clothing for Kids e-course starts today! Oooh, thank you so much! 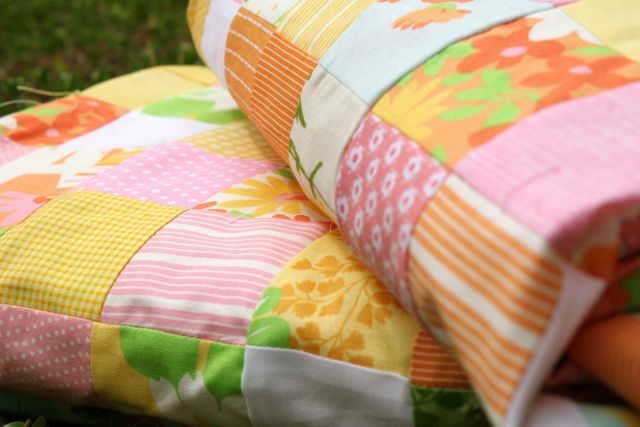 They are really cute about it–so excited not just about the quilts, but that they MATCH. Makes all those seams worth it! wow wow wow. Love these. I can’t wait to see what you come up with for the backs. 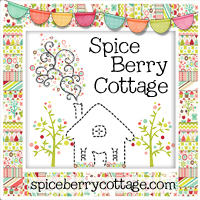 I, too, love doing something special on the back of quilts – i just can’t help myself. 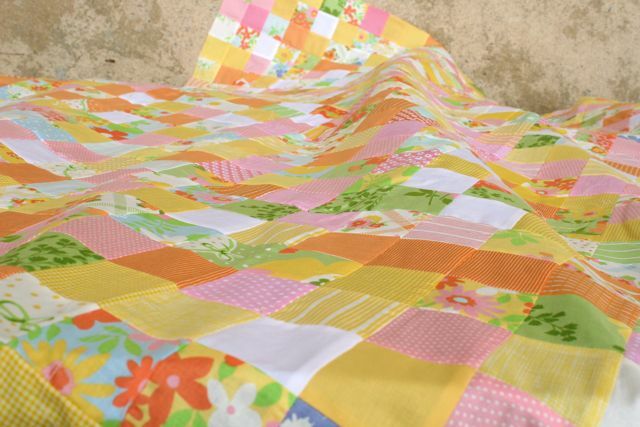 I think, though, that I would have been awfully tempted to piece this quilt using a strip set technique. Props to you for doing it square by square! So glad you like them! They’re just warm and sweet, and I can hardly stop looking at them. Yay! Wow, just lovely. I am sure those quilts will be treasured for many years. Well done. Cheers! My sister and I shared a room until I wend to college. Only once did we ever live in a place that we could have separate rooms, but as elementary schoolers, we didn’t want to. It may have helped that we are only a year apart. These are so pretty! Now I remember why I loved Dream On. 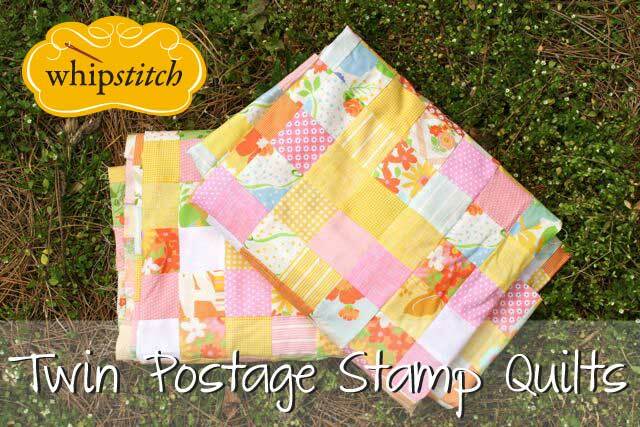 And I alway love the postage stamp pattern it is so evocative of the past in a good way!